1. Arda, before and after the melting of the Lamps. Note that the Seas of Helcar and Ringol are at the longitudinal mid-line of the earth, where the Lamps were - the Lamps were formed of ice in an early conception of the story, and their meltwater formed the two inland seas. 2. Arda at the time of the Waking of the Elves, after the destruction to the early world caused by the Battle of the Powers. 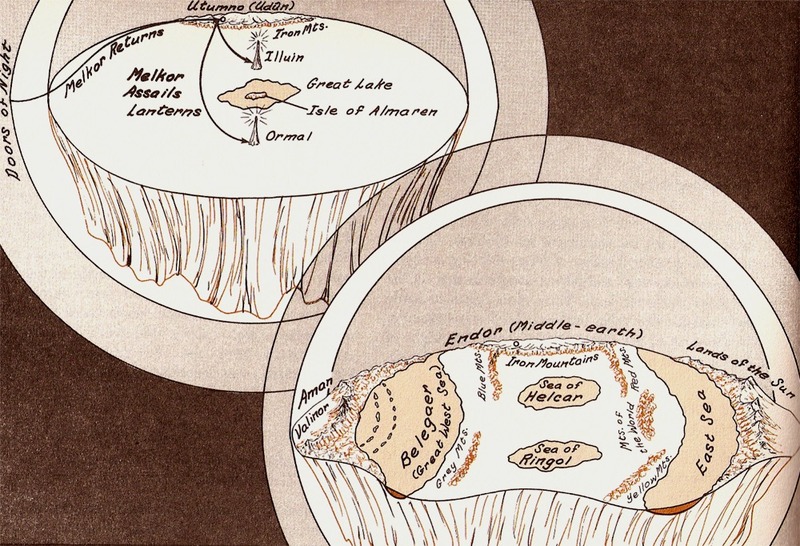 Note that the Sea of Helcar is not shown as centered in the Great Lands, possibly because the artist wishes to show more details of the Western lands. 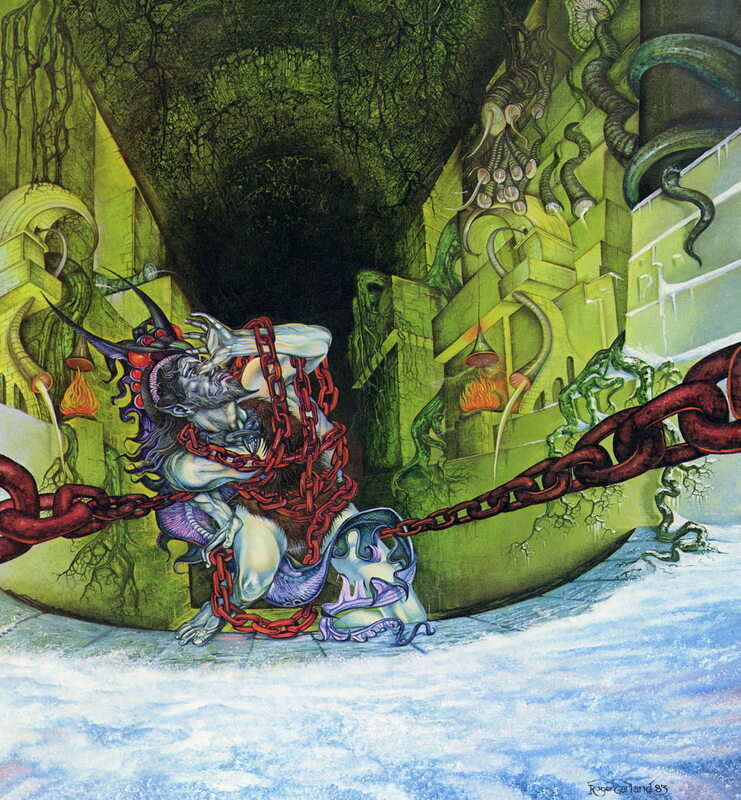 Melkor Chained, by Roger Garland. 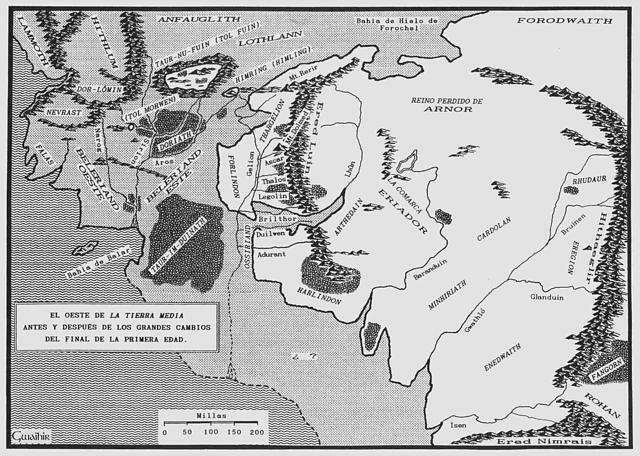 Map of the Westlands of Middle-earth. Version 1. 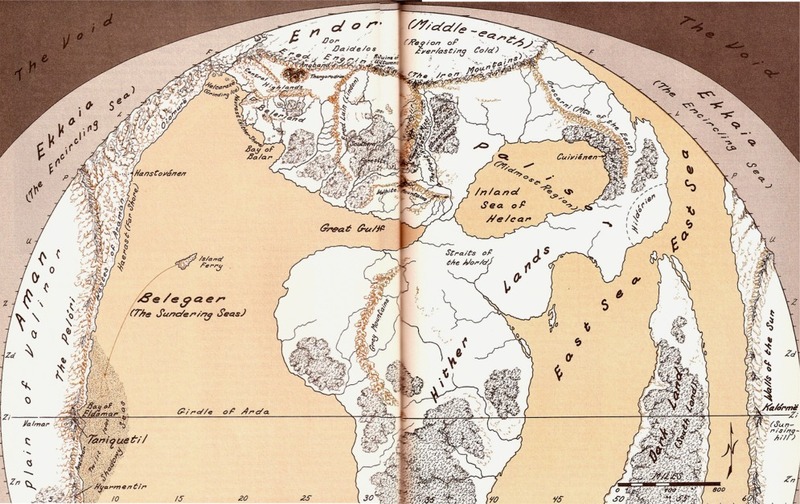 Map of the Westlands of Middle-earth. Version 2.